Last year, a proposal for bicycle helmet legislation was tabled here in Denmark. Copenhagenize Design Co. and Bicycle Innovation Lab promptly gathered a list of experts and we sent an open letter to all the members of the Danish parliament - and to the Danish press. The bicycle helmet law was defeated! Rationality prevailed. Here is the letter we wrote to the papers and to every MP in the parliament. The letter is also online here, on the Copenhagenize Consulting website. Experts: Vote no to the mandatory bike helmet proposal and strengthen public health! Danish experts in traffic, mobility and cycling recommend that all members of the Danish Parliament vote NO to the proposed bicycle helmet law. 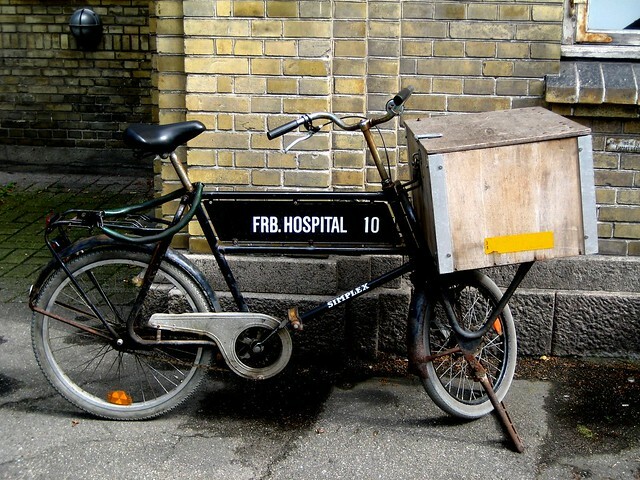 - Denmark is the world's safest bicycle nation, along with The Netherlands. - Cycling levels are falling and mandatory helmet laws further reduce the number of cyclists. We need MORE cyclists, not fewer. - It will harm Denmark's leading role and international brand as a bicycle-friendly nation. - Documentation for the effectiveness of bicycle helmets is, at best, doubtful and countered by numerous scientific articles around the world. Copenhagenize Design Company and Bicycle Innovation Lab have teamed up to contact the country's leading experts in traffic, mobility and cylcing and get them to join our declaration. Their names can be found at the end of this letter. Many European countries have already rejected bicycle helmet law proposals. Among them are the UK, France, Italy, Poland, Switzerland and Norway. The reason is that there isn't any conclusive scientific evidence that a helmet law will benefit the public health. In addition, there isn't one single place in the world where bicycle helmet usage has reduced the number of serious head injuries. The worst thing about a helmet law is that we risk having fewer people choose the bicycle. A catastrofe for a society that is plagued by lifestyle diseases, rising obesity and children that don't get enough exercise. We have to INCREASE cycling levels. "... even the official promotion of helmets may have negative consequences for bicycle use. If the importance of wearing a helmet is stressed, the implied message is that cycling is extraordinary dangerous. The report on cycling shows, however, that refraining from bicycle use has far greater negative consequences for health than increasing bicycle use without the wearing of helmets. To prevent helmets having a negative effect on the use of bicycles, the best approach is to leave the promotion to the manufacturers and shopkeepers". We say no to bicycle helmet legislation in Denmar and our conclusion is the same as the European Cyclists Federation, the Danish Cyclists Federation, as well as cycling organisations in Holland, UK, Germany, France, Belgium, Ireland, etc. - A bicycle helmet isn't even designed to protect the head against life-threatening impacts. It is designed - and tested - to protect the head against non-life threatening injuries in solo accidents under 20 km/h. A helmet isn't designed to help in situations where a cyclist is hit by a car or truck. Promotion of helmets - not to mention a law - has a very serious consequence: people stop cycling. We've seen it all over the world. Between 20-40% have been scared off their bikes and that impacts the public health. The advantages of cycling daily are 20 times greater than the marginal risk of hitting your head. When we are dealing with something as important at the public health and sustainable transport forms, the documentation has to be watertight. We don't think it is regarding the proposal of making helmets mandatory for children under 15. Denmark is the world's safest bicycle nation, along with the Netherlands. The number of head injuries keeps falling in Denmark and has done so since the 1960s, apart from minor, short-term periods. This is due to better infrastructure, traffic safety intiatives, the "safety in numbers" principle and people paying better attention. Daily cycling prevents a long line of illnesses and can extend life by up to seven years. We shouldn't risk having fewer cyclists - and certainly not children. What is the state of cycling in Denmark right now? The number of cycled kilometres in Denmark has fallen by 30% since the beginning of the 1990s. If Danes still cycled that extra 30% we could save at least 2880 lives a year. (Source: Lars Bo Andersen, Professor. University of Southern Denmark). Instead of working towards increasing cycling levels, we see a proposal that will ruin our bicycle culture. The number of cyclists continues to fall in Denmark. Copenhagen is actually the only city in the western world where cycling levels have fallen over the past few years. We need to increase these levels. We can't do it with helmet legislation, but by creating better and safer conditions for the nation's cyclists. Bicycle helmets are basically misunderstood treatment of symptoms. We should, instead, discuss what kind of cities we wish to live in. If we wish to do something positive for safety, health and the environment we should arrange our cities so that they are safe for pedestrians and cyclists and we should give these groups first priority in our planning. The European Parliament doesn't want to legislate helmets but instead recommends 30 km/h zones as a solution. Another example is the 8-80 Cities concept - which means that cities should be designed for people from 8-80 years old - so that they can move around their city safely. Among the cycling organisations in Europe, the new Danish law proposal has been met with stunned amazement. The proposal is in sharp contrast to the image of Denmark as a role model for cycling and it can harm our unique brand as a cycling nation. Cycling in Denmark creates jobs and export potential. These are put at risk when you don't understand the international consequences of the unfortunate messages we send. It is through testing, experimenting and playful desire that Denmark wears the jersey as one of the world's best cycling nations - not through legislation and restrictions. Therefore, all the experts signing this letter encourage the members of Parliament to vote NO to the proposal about helmet legislation for children under 15. An effective strategy for saving lives and preventing injuries is lowering the speed limit to 30 km/h in densely populated areas. This is in place in over 100 European cities. We would experience a fall in killed and serious injured cyclists and pedestrians AND motorists between 25-40% THAT is effective lawmaking. Traffic calming in cities and better, wider and safer bicycle infrastructure have the same positive effect and we encourage you to propose and support such plans. Each of the experts who have signed this letter can expand on why a bicycle helmet law is a bad idea based on our individual expertise. We are at your disposal if you want to know more. Feel free to contact us. We can also recommend international experts through our networks. Mikael Colville-Andersen - CEO – Copenhagenize Design Co.
Christer Ljungberg, CEO, Trivector. Expert in sustainable transport. Sweden. One of our colleagues who signed the letter is Prof. Lars Bo Andersen from the University of Southern Denmark. He added a letter of his own to the open letter. The pdf of his letter, in Danish, is viewable here. I have researched cycling and health over the past two decades and have published more articles and papers about the health benefits of cycling as transport than any other researcher in the world. Mortality among cyclists is 30% lower than among those in the population who transport themselves through passive transport. Today, such a large percentage of the population cycles that this reduction in mortality results in a significant number of lives saved. - According to Danmarks Statistik the cycling levels fell 30% between 1980-2000. - This fall means that the total mortality (within the same age and gender) has risen by 4.8%. - Roughly 60,000 people die each year in Denmark and the actual reduction in cycling equals 2880 deaths. - This is in relation to the fact that only 30 cyclists died in traffic in 2011. If a bicycle helmet law causes a fall in cycling levels, as it is expected to do, it will be cause a great deal of damage in the health of the Danish people. If you're wondering which individual was behind this proposal (and it's always an individual) it's Andreas Steenberg, from the political party Radikale. In email exchanges with him it is clear that he hasn't bothered looking at the science, the risks and the negative effect on public health. He is just as uninformed as Pia Olsen Dyhr from the Socialist People's Party who was bikeslapped here on the blog a couple of years ago.